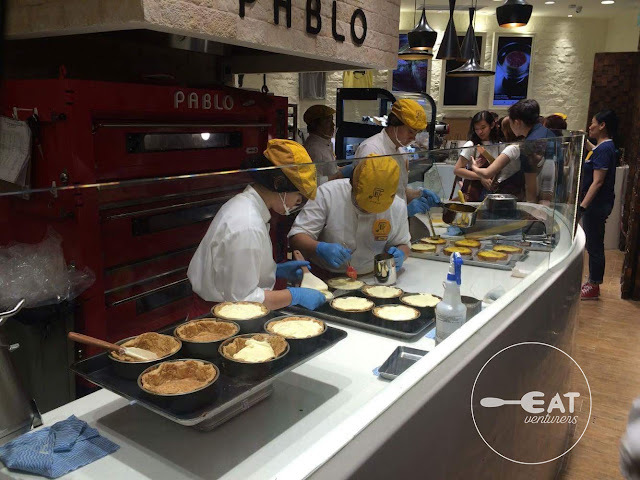 The Eatventurers: Is Pablo Cheese Tart worth lining up for? 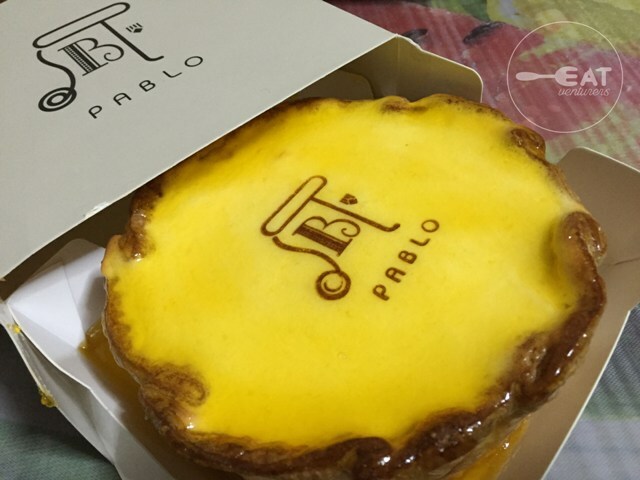 Is Pablo Cheese Tart worth lining up for? 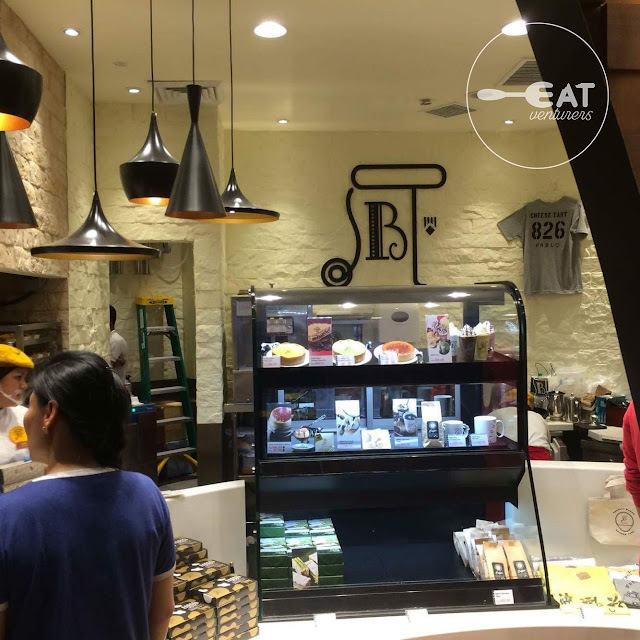 The Eatventurers opened this mini-food review section for all the food we tried via take-out, food stalls, or those new food on hype. 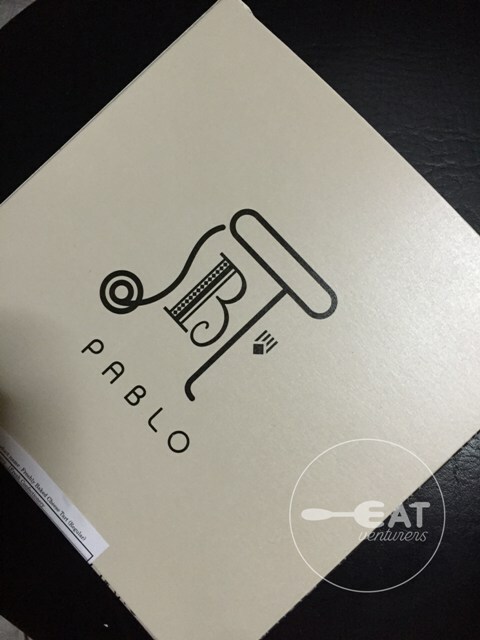 First food we'll review — the newly-opened Pablo. Is it worth lining up for? 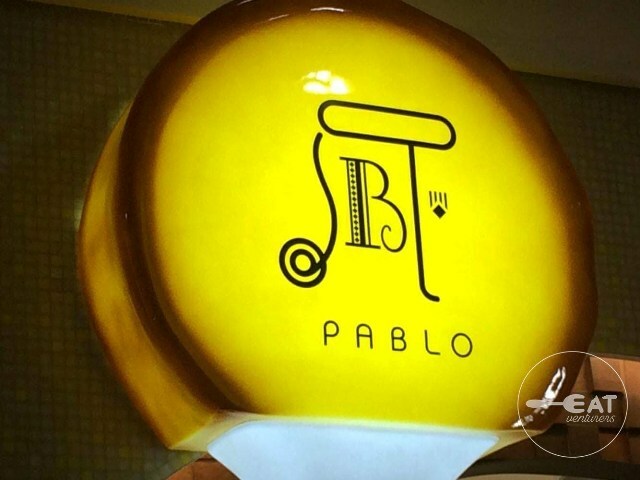 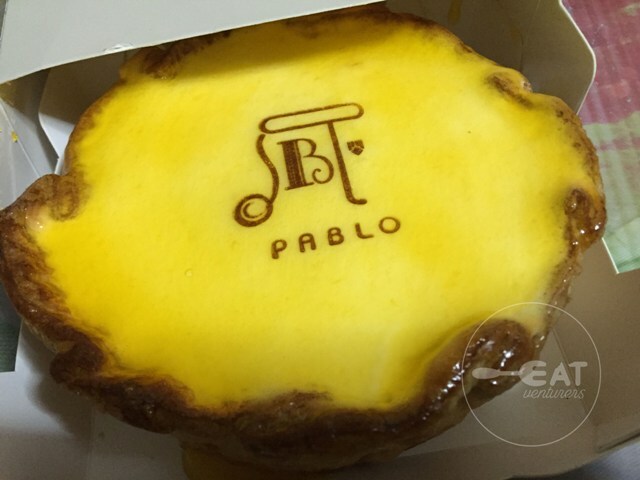 A little background on Pablo: It is world-famous for its cheese tarts which originated from Osaka, Japan. 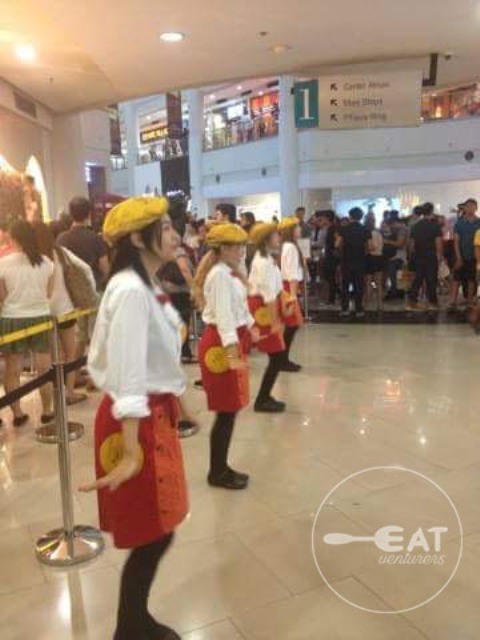 It has opened its very first branch in Manila last September 15, Thursday... but again, is it worth lining up for? 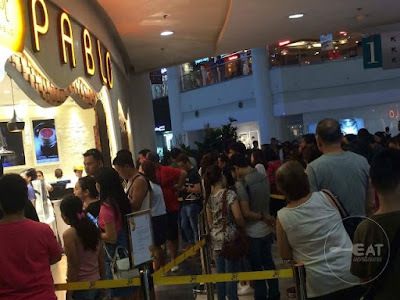 For our case, my parents fell in line for three hours to bring home one of the most talked-about pastries in town, so, if you are willing to fall in line for hours, then it is worth it. They ordered the original cheese tart for me, priced at P599. 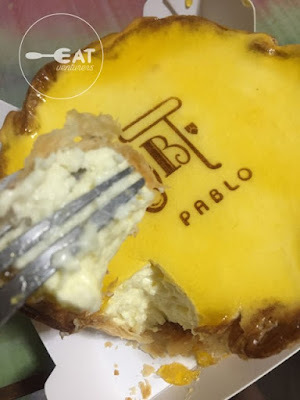 I've got high hopes for this cheese tart but yes, it lived up to its promise of richness, gooey-ness, and fluffy-ness. It was worth it. 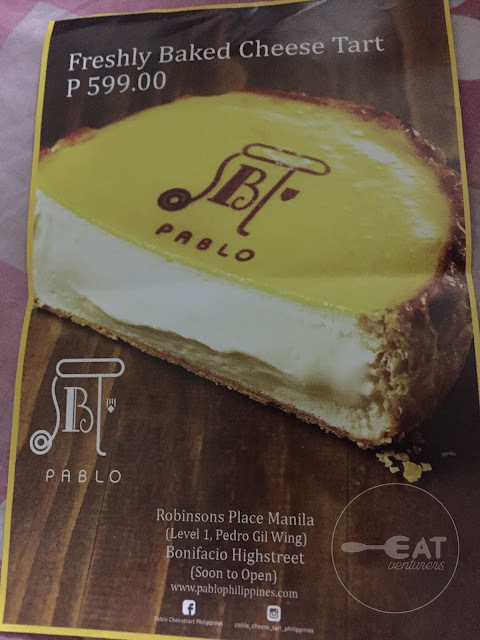 Its price though, is not that economical for it ranges from P599 above. 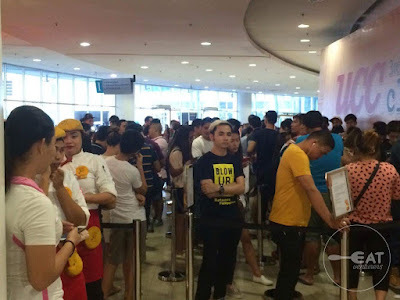 My Japanese friend said the price is doubled here, for it only costs P250 to 300 back in Japan. The serving is not as big as I thought it was, as seen in photos, but it can be shared by four people and can also be finished by a single person. 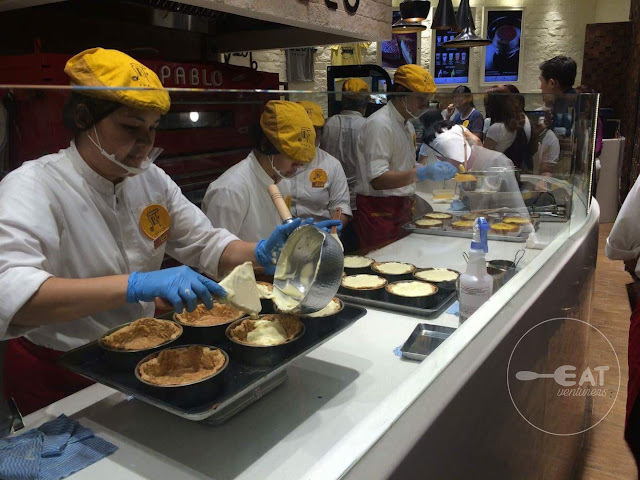 Think: pancake, but a little bigger. 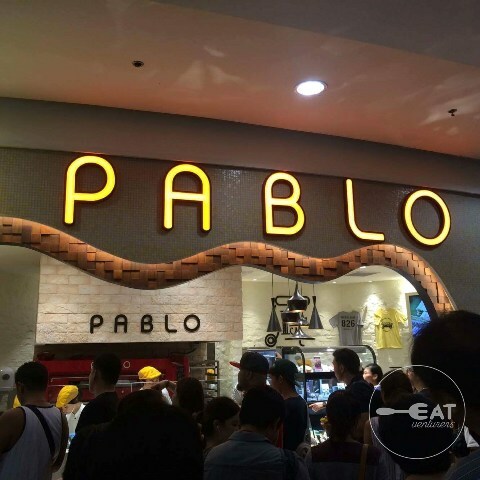 Verdict: 3.5/5 - Not so life-changing but tastes good. 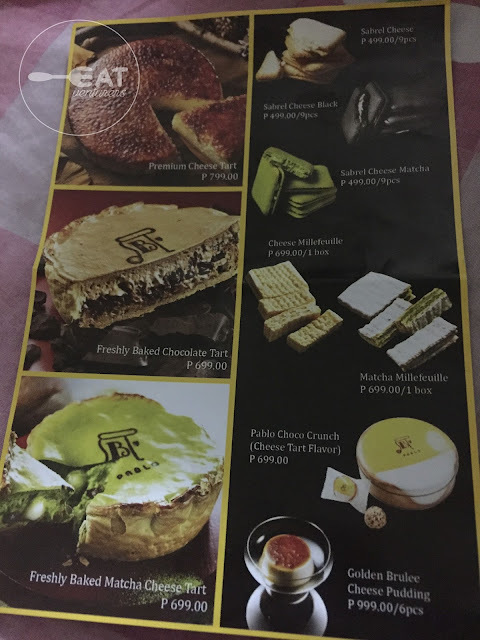 We will come back for the chocolate cheese tart and maybe try the matcha too!